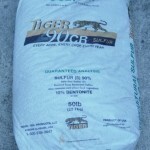 PRODUCT DESCRIPTION: Sulfur 90% turf mix is a high analysis granular degradable Sulfur product that can be used both as a source of plant nutrient Sulfur and/or as a soil amendment for correction of problem alkali soils. 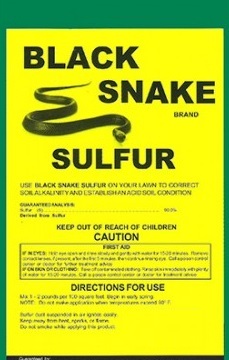 Yearly applications will improve soil Sulfur levels as well as loss associated with nutrients that are soluble. It can also be used as snake repellent. RATE OF APPLICATION: Apply 1-2 lbs per 100 sq/ft. 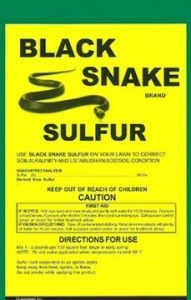 This 5 lb bag can treat 250-500 linear feet around your property to effectively create a barrier snakes will not pass through.